I have a number of canvasses available for sale. Some examples are shown here. More can be seen at the exhibition in the Jaarbeurs in Utrecht. If you are interested you can download the catalog here. 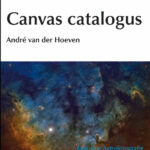 The catalog is currently in Dutch, but if you are interested I can always provide you with more information.